After a seemingly unending bus ride into Tokyo from Narita, I set foot in brightly-lit Shinjuku, my first foray into the mysterious and alluring destination of Japan. I waited for my friend Lucas, whose apartment in Ebisu I was crashing. After navigating through the confusion that is Shinjuku station, we took one of the second-to-last trains to Ebisu. Apparently the second-to-last trains in Tokyo are different than the last trains in Tokyo. Slightly lower levels of collective intoxication than the last gasp of degenerates and suits rushing home to avoid having to sleep propped up against a newspaper stand. 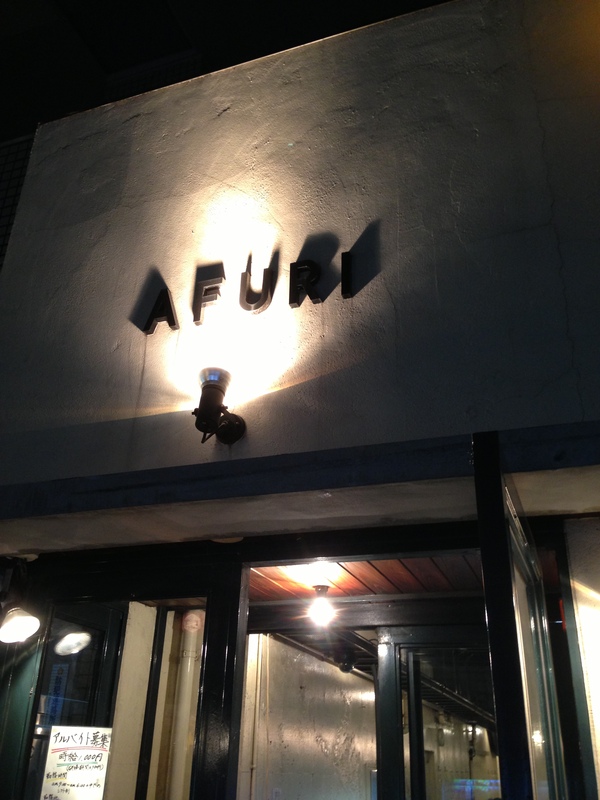 I followed Lucas through the narrow Ebisu streets until we got to Afuri, a little ramen shop on a quiet lane. I was starving, having skipped my onboard meal in favor of this upcoming introduction to Japanese ramen. 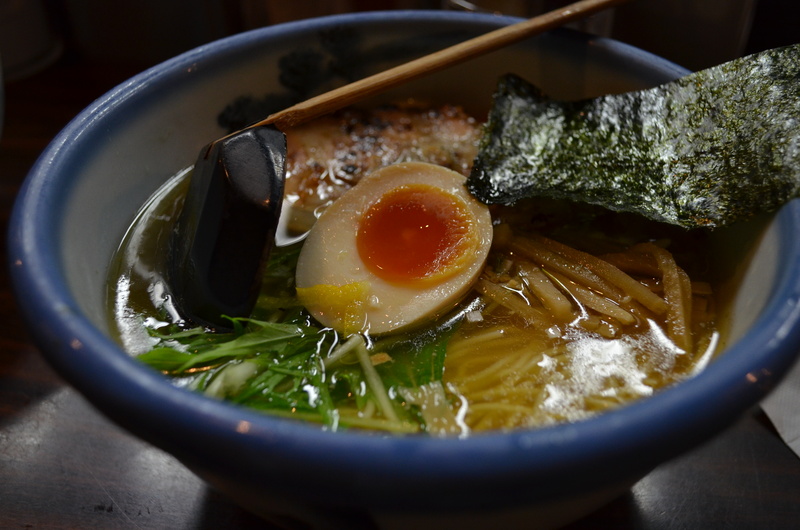 Or at least one version of shoyu ramen. There’d been a lot of hype building up to this event, from friends and food blogs and anime series and previous trips to Ippudo and Santouka, not to mention late nights of Nissin packets and Shin cups. Still, in Japan, the feeling I got more often than not was the anxiety from not having nearly enough time to explore and taste all the different masterful incarnations of (fill in the blank). Like many other ramen shops, we ordered from a vending machine that spits out a ticket based on what the eater selects from the labeled buttons. 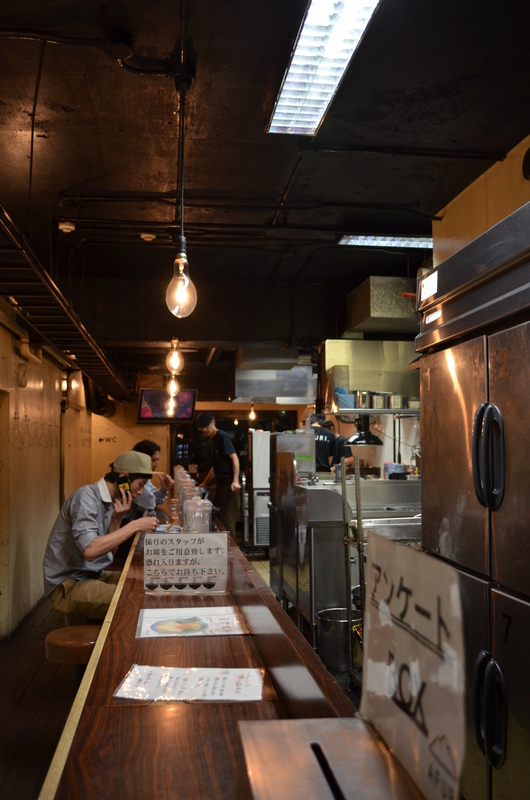 Lucas selected a bowl of shoyu ramen with char siu, egg, and bamboo shoots, and for himself a bowl of pork rice. The soup was unique, very light but smoky, the same strong smokiness as the pork had. 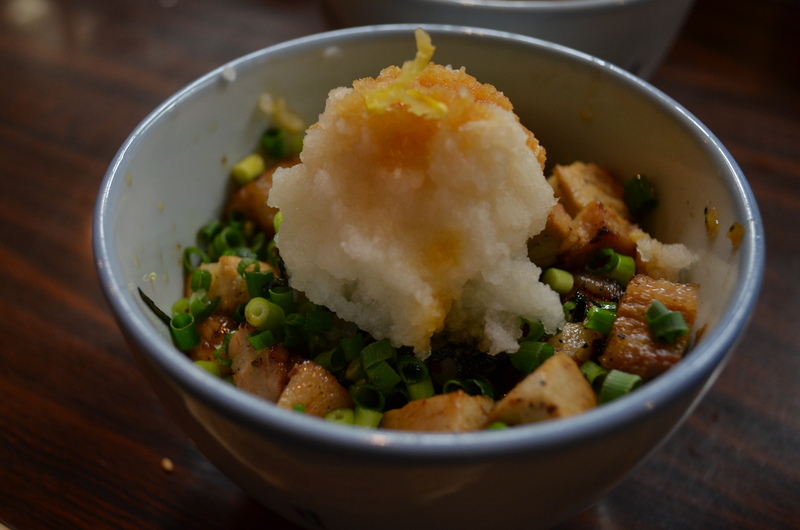 The egg practically melted in my mouth, in contrast to the freshness and crispness of the greens and bamboo. I slurped the thin noodles hungrily, happy to finally be at the beginning of the upcoming week and a half of Japanese wanderlusting (and gastronomic bliss).